This awesome little guy we nicknamed "Doublewide" because he is. 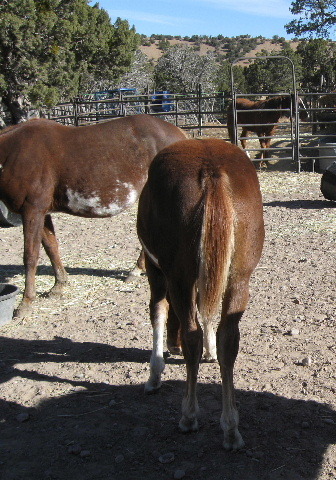 He is a wide heavy yet chromed up bulldog quarter horse type. 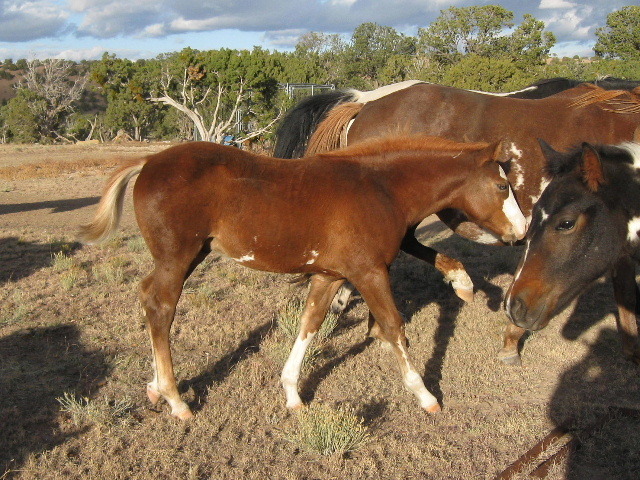 He is sired by our QH stallion, Dunna Be Peppy, with strong foundation breeding. 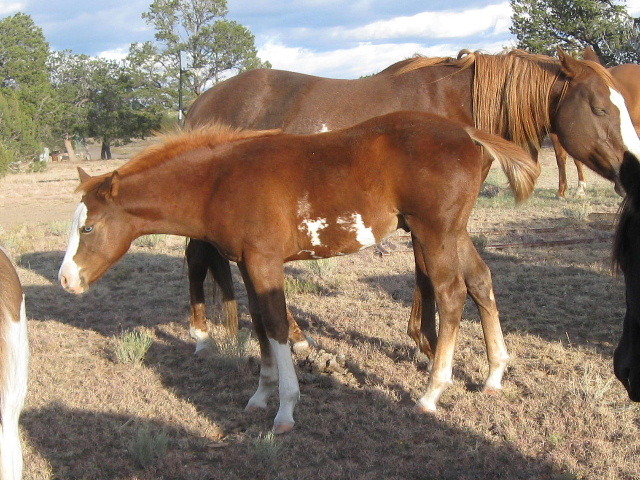 His dam is a Pinto mare sireed by our Paint stallion, Kelly's Easter Jet and out of a grade mare. Thus, he cannot be registered in AQHA or APHA. But he will make a great using horse and he sure is easy to look at! Both eyes are blue, but surrounded by colored skin and hair, as you can see.